Hi, we are Musa, a 3-piece vocal harmony group based in Dublin, Ireland. Musa combines the talents of Lorna Kennedy, Labhaoise Brennan and Lisa Nolan, three accomplished and experienced musicians with an enchanting and unique vocal blend. Musa specialise in providing elegant, harmonious music for a variety of occasions from weddings and funerals to concerts and corporate events. Whatever the occasion, we cater to the needs of the client and offer versatility both in our styles of music and range of booking options. We accompany ourselves with guitar and flute which beautifully compliments our three-part harmonies. If required, at an extra cost we can also provide a professional pianist for any event. Please take a few moments to browse our site where you can hear audio tracks, review our repertoire or make a booking enquiry and more. Contact us anytime for information on prices and availability. These prices include discounted rates for bookings from Monday to Wednesday and a special offer package too! Lorna has performed at many wedding ceremonies throughout the country and abroad before forming Musa. From a young age, she performed leading roles in many musicals, the most recent including Michael Scott’s national tour of "The Yellow Man" and Arclight's production of "Cinderella." Lorna also took on the role of musical director for Arclight's "A Midsummer Night’s Dream" performed in the Pavilion Theatre, Dun Laoghaire. At the age of 16, Lorna began guitar lessons with John Flynn in the John Flynn School Of Guitar and stayed with him for 3 years. This is when she began song writing. In 2003, after receiving intense vocal coaching from jazz singer; Honor Heffernan, Lorna and Lisa Nolan, together with Lynn Hilary of Celtic Woman formed harmony group "The Lost Chords". The Lost Chords performed at many weddings and corporate functions as well as performing with such artists as Liam O'Maonlai and Cellar Club. Since then, Lorna has performed live in many venues with other singer/songwriters, the most recent including the Ruby Sessions with Marilyn Bane and in the Bitter End in NYC with upcoming Irish artist Scott Maher. In 2005 Lorna performed backing vocals with Brian Kennedy on the Late Late show. She has performed backing vocals on Scott Maher’s albums, "Cartoon Moon" and "21 Bends" and also on Dublin band; The Shoos' album, "Rescue Room". In February 2006, Lorna reached the final 10 of the RTE 2FM all Ireland song writing competition. She performed her song "Let It Go" live in Vicar Street to a packed house. In 2009 Lorna completed 3 years of study in the Gaiety School of Acting. From a young age Lisa has performed leading roles in many plays and musical productions in theatre companies such as Stagecraft Academy and Arclight Theatre Company. Lisa began singing as part of the Dublin Secondary Schoolgirls' Choir in 1994 for four years and performed with them in the National Concert Hall on many occasions. In 1996 Lisa began vocal training in the Dun Laoghaire School of Music. During her training there she performed and won many singing competitions in the Newpark Feis, in Blackrock, Co. Dublin. In 2000 Lisa began performing in professional musical productions with Mangled Ferret Productions in The Crypt Theatre in Dublin Castle, Andrews Lane and The Pavilion Theatre in Dun Laoghaire. Also in 2000, Lisa began classical vocal training with Mary Brennan in DIT, Conservatory of Music and Drama. During her time there she performed in the DIT Chamber choir and Choral society under Bernie Sherlock. In 2003 Lisa and Lorna Kennedy, together with Lynn Hilary of Celtic Woman formed the harmony group "The Lost Chords". The Lost Chords performed at many weddings and corporate functions as well as performing with such artists as Liam O'Maonlai and Cellar Club. Lisa has performed in many venues around Ireland including The National Concert Hall, Andrews Lane, Vicar Street, The Olympia Theatre, The Helix, Cork Opera House and The Mansion House for the Lord Mayor of Dublin. Lisa's recent work has seen her perform as backing vocalist on two albums by upcoming Irish artist Scott Maher before forming Musa. Labhaoise has been singing from an early age both chorally and as a solo performer. She studied vocal training with Daniel McNulty for 8 years and has gained much experience as a soloist, singing live throughout Ireland, as well as in the UK and continental Europe. She has taken part in numerous musical dramatic productions with The Xavier Goodwin Drama School and the Maeve Widger School of Drama. Venues in which Labhaoise has performed include The Point Theatre (now the O2), the RDS, the Royal Hospital Kilmainham, the National Concert Hall, Crawdaddy, The Academy and The Roisin Dubh among others. She performs primarily as a soloist or as part of a trio but has also been a member of numerous choirs in the past including RTÉ Cór Na nÓg and the Dublin Secondary School Girls Choir. As well as live performance, Labhaoise has also taken part in many recordings. She has appeared on numerous TV programmes including productions for RTE and TG4, and she has sung on a number of Radio programmes for various stations such as 2FM, RTE Radio 1, BBC Radio Ulster and Newstalk 106 to name a few. She was invited to take part in the IMRO Showcase Tour 2007 and was included on the IMRO Compilation CD for that year. Throughout her career, Labhaoise has enjoyed working with a number of top class musicians. Among them, song-writer Len Arran, long time songwriting partner with Skin and Multi-Platinum award winning band Skunk Anansie. They were joined by Maria Angeles Alcala, a gifted Viola player from Cordoba, Spain. This collaboration produced an eponymous 3 track EP, recorded both in Ireland and the UK. Labhaoise has also recorded and performed live with the wonderfully talented Irish singer-songwriter Nigel Place. Labhaoise has always had a deep appreciation for Irish Traditional music and has toured abroad with the exhilarating and critically acclaimed Irish music & dance shows 'Celtic Legends' and ‘Ragús’. As a member of Musa, she performs frequently at a variety of social and corporate events. Having studied flute as well as music theory for a number of years, Labhaoise has benefited from a well-rounded musical education and also enjoys playing guitar, a skill that has been self-taught. We have an extensive repertoire, some of which we have listed below. If there is a particular song that you would like to have at your event, please do not hesitate to ask as we often perform songs on request. We have provided links to some of these songs on YouTube so you can get familiar with them. To view the videos, simply click the YouTube logo beside the song you want to listen to. To stop, just click the logo again. Music is an integral part of any wedding day. Choosing the pieces that are right for your ceremony is very important and Musa are more than happy to provide professional guidance and expertise throughout this process. Our extensive experience means we can offer sound advice on all musical matters. With our sweet harmonic blend, we will bring a delicate charm to the event which is sure to enhance your special day. We have a broad repertoire from which the music can be chosen. Also, we are open to performing requested pieces for which there is sheet music available. Please contact us for more information on our wedding packages. Musa are available to perform at both wedding ceremonies and champagne receptions. Looking for a Photographer for your big day? Looking for a Videographer for your big day? Please enter your name so we know who we're talking to! Please enter a date so we can check if it's available for your event. Please enter a valid email address so we can contact you! Is this event your wedding? Where are you from? (Area/County)? Musa are more than happy to advise you when choosing the appropriate music for your church ceremony and as a versatile harmony group, we are open to performing all styles of music. 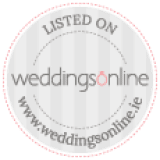 Each member of Musa is an experienced church singer and having performed at many wedding ceremonies to date, we are in a position to offer expert advice on choosing the right ceremony music for your special day. As part of our package, we will meet with you prior to your wedding to guide you through this process. The following is a sample format of a typical church ceremony to give you an idea of the layout of the ceremony and where the songs fit in. *These are only suggestions for you to use as a guide, we have a broad repertoire which includes many other pieces and we are also open to requests, the choice is entirely yours. It is important that you are one hundred per cent happy with the song or instrumental piece that you choose for when you are walking down the aisle. There are many beautiful instrumental pieces such as Gabriel's Oboe or the classic Canon in D (*Please note: "Canon in D" requires Piano) which work very well here. Alternatively, you could pick a song such as She Moved Through the Fair or something more contemporary like Oh My Love by John Lennon, or if you prefer something classical, The Flower Duet is also a good choice. Once you reach the alter, you will both be invited to light two candles, this symbolises that you are two separate people. Again, you have the choice of either a song or an instrumental piece. We often recommend the first verse of One Hand, One Heart as a song or perhaps Somewhere Over the Rainbow as an instrumental piece. The Responsorial Psalm is sung in between the first and second readings. Examples of psalms include Here I Am Lord, On Eagles Wings or Be Not Afraid. This part of the mass can be either spoken or sung. If asked to sing here, we usually recommend Seinn Alleluia. This takes place directly after the exchanging of the rings and you are pronounced man and wife! To symbolise being united as one, you are invited to use the two candles you lit previously to light the centre candle. Here, we find the second verse of One Hand, One Heart to be highly appropriate and moving, the lyrics being "Make of our lives, one life." Again, you also have the choice of various songs or instrumental pieces. As the gifts of bread and wine are carried up to the altar, popular song choices are The Cloud’s Veil, Be Still My Soul, Panis Angelicus, or You Raise Me Up. Generally, only a short song is needed here. Examples of suitable songs would be Ag Criost an Siol, Make Me A Channel of Your Peace, Pie Jesu or Down in the River. We usually sing two songs at this part of the ceremony. There is a huge number of songs to choose from. For example: Ave Maria, Hiding Place, Nella Fantasia, Amazing Grace, The Prayer or Hallelujah. Again, two songs are generally required here. You are usually free to choose more contemporary, non-religious songs at this stage as the religious part of the ceremony is over (although some priests will allow non-religious songs during the ceremony also). Some songs which fit in nicely here are Time After Time, May It Be, Songbird, You've got a Friend, No Frontiers, Come What May, Fields of Gold. The choice is yours between a song or an instrumental piece as you leave the church. We recommend something upbeat like All You Need Is Love or The Wedding March.